In todays international times we often meet people from other countries with whom we cooperate, exchange ideas and trade. This is both interesting and rewarding but from time to time it is difficult to understand people from other cultures. Why do they think and act as they do, and why do they do what they do? Often as not we tend to understand ourselves best and understand the world and other people on the basis of the ideas we have grown up with. Even when we want to understand others, it can be difficult to reach such an understanding. The question is how are we to tackle what is incomprehensible or strange and how are we to make it comprehensible? This book is a proposed answer to this problem. It describes intercultural understanding and co-action, partly by means of a general insight into the culture concept and the dimensions which bring about culture differences, and partly as a methodology to analyse a concrete culture, whether ones own or others. This helps towards the understanding of culture complexity and differences among people. A number of ethical issues, which invariably will arise when people meet and co-act across cultural boundaries, are also discussed. The book consists of four parts, which each focus on an area: the first part offers a theoretical / abstract proposal for cultural understanding. The second part also offers a theoretical / abstract proposal for understanding intercultural plurality and complexity. The third part presents an empirical / practically founded model to analyse intercultural co-action. And finally the fourth part presents and discusses a number of ethical issues in intercultural co-action. 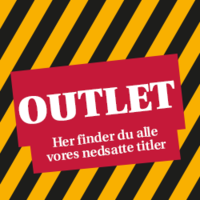 This book, which contains many illustrative examples, builds on Kultur, kulturanalyse og kulturetik  eller hvad adskiller og forener os? [Culture, Cultural Analysis, and Culture Ethics] from 1992. But the present book has been revised and further developed and contains new angles and new material. The book addresses students engaged in intercultural issues and people who through their work are in contact with other people in or outside Denmark. For many years, Hans Gullestrup, Professor in Social and Economic Planning (lic. merc) at Aalborg University, Centre for Intercultural Understanding, International Business Economics, has been strongly committed to international and intercultural co-action.